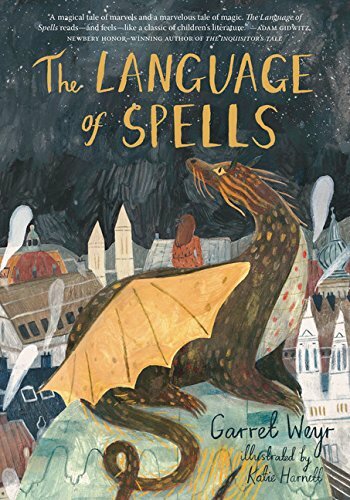 In a world where most people have long forgotten about dragons and magic, 11 year old Maggie sees it all around her. Grisha is one of the last dragons left in Vienna, having been imprisoned for most of his life in a teapot (evil sorcerers really are the worst), he now spends his days giving tours of an old castle, and his nights being...well... generally lonely. When these two unlikely characters meet one night in a hotel bar (Maggie's upbringing is eccentric to say the least- her parents are into the arts- need I say more?) a deep friendship blooms. The two embark on a journey together to find out what ever became of the worlds mighty dragons; but to find the answer, Maggie may just have to give up the thing she holds most dear, magic is tricky like that. This was an exceptional read! Bursting with magic and whimsy, it is one I would gleefully recommend to my big and little readers alike. We should all be more like Maggie; kind, honest, willing to do anything for a friend, and perhaps most importantly, sees things that most people find unimportant or overlook. This book reminds me that sometimes we need to slow down our fast paced lives and bring ourselves back to the basics, to really see the world. True magic is found in all the cracks and hidden places of life that are often discarded and overlooked; but if we really try, beneath it all, we can see all the wonder the world has to offer, and that can truly be the most beautiful part. "People expect that the magical will be extraordinary, but it's often easy to overlook"
A beautifully written story for lovers of magic of all ages, I highly recommend this one! It was fun and magical with some lovely underlying themes.